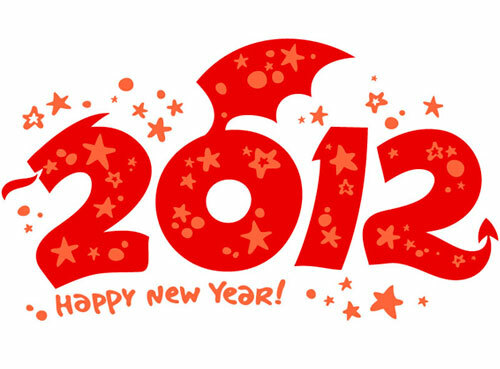 It’s the first day of the Lunar New Year today, the first of fifteen days of celebration. The Dragon is said to be the mightiest, most legendary and most auspicious of all the 12 zodiacs, and is considered to be ultimate symbol of wealth, power and success. The Water Dragon, being a symbol of power of one of the most auspicious animals in Chinese horoscope, is envisaged to heal and protect from stress and chaos. This animal is said to have intelligence, patience and sensitivity which in turn provides motivation, discipline and reflection. Let us hope the Year of Water Dragon will bring much-needed calm to places savaged by earthquakes, flood and extreme weathers in 2011, and restore fear and market uncertainty that plagued most nations when the world’s economy shifted. 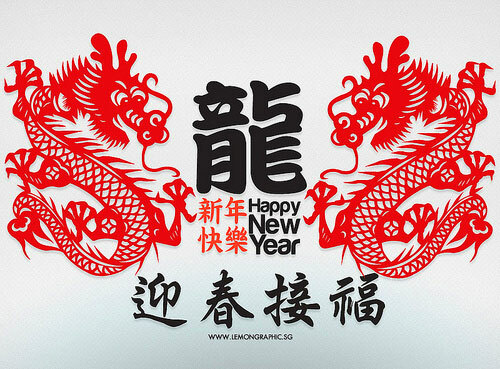 Wishing all my Chinese readers a prosperous and healthy Lunar New Year! 恭喜发财!